Meetings are a regular part of business. There are meetings with your team, meetings with your subordinates, meetings with your seniors, meetings with board members and so on. Another kind of meeting that requires different strategies and talent is the sales meeting. There is a special way to participate in business meetings with prospective clients and where you are trying to finalise a sale. So you could be a pro at meetings involving your own co-workers but not so confident at handling things outside. 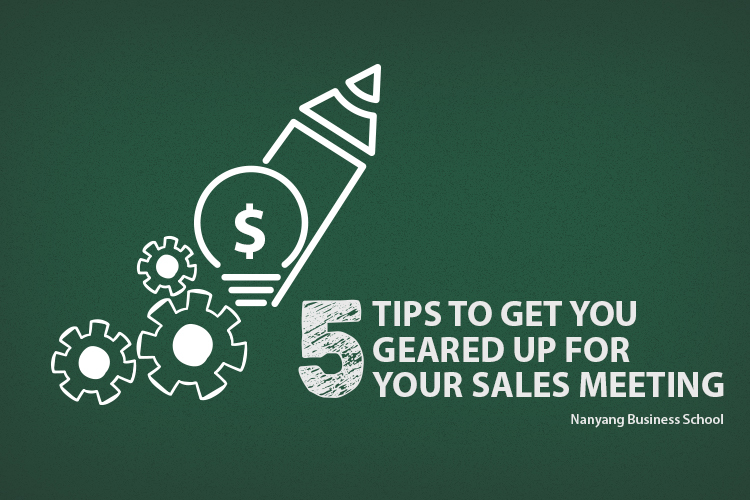 Gather background information: Whenever you make a sales call, it helps to know your prospect. Do your research with the help of the Internet, your network and anything else you can get your hands on. By the time you reach the meeting, you should be familiar with the person’s company and have an idea about his or her needs and wants so that you can address them. How can your product or service create a difference for the prospective client? Be prepared. Set a clear objective: When you walk into a sales meeting, you should ask yourself how your time spent there will increase your sales. To avoid frustration and a waste of time, have your detailed answer ready. The objective should be specific. For example, you could decide to use the meeting to teach sales representatives about Product X. And success could be attained if 90% of the representatives reach your target sales quota within the quarter. Your job is to let everybody at the meeting know exactly what the goal is. Awareness and understanding are important. Ask qualifying questions: There’s a difference between pitching to a prospect and holding a sales meeting with him. The meeting is supposed to be a conversation – so you shouldn’t be the only one talking. While you intelligently steer the discussion toward his/her organisation’s needs and possible solutions, you need to make sure that it brings results. Listen well and ask good questions. For instance, you should find out who will be making the final decision on the sale. Prepare high-quality material: The printed tools that you carry into your sales meeting should be of high quality. That means that the business cards, brochures, stationery and estimate sheets should all be immaculate. Check for writing quality. Is the grammar and spelling all fine? Do you see anything that could read better? Fix it. How about the colours, typeface and design? Pay attention to every detail because you do not want to lose out to fellow contenders because of unattractive, uninformative materials. Share case histories: Stories that demonstrate the ways that you and your team have successfully met client needs should be presented at the meeting. Whether you are employing the use of a long slide presentation or talking through most of it, keep more than two case histories at hand. Never directly criticise a competitor but tactfully point out how you can do things better in the case at hand. Tell the story with a focus on your company’s strengths and the benefits your clients enjoy. Remember, the sales meeting is where you position yourself and your company in a field full of players. So let the conversation be your best.